This week we’re talking about worms. Both the ones that make your smart phone work, and the ones that invade your personal space. 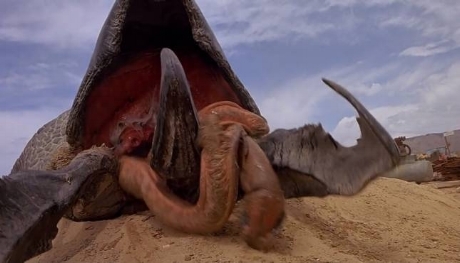 We frame the latter discussion around the solid horror-comedy creature-feature gem, Tremors (1990). While basically just Jaws on land, this film boasts a committed ensemble cast, incredible practical effects from Amalgamated Dynamics, and a tightly written script that all adds up to an incredibly entertaining experience. Fritos, flat earthers, firearms, and more this week on Ex Rated Movies!